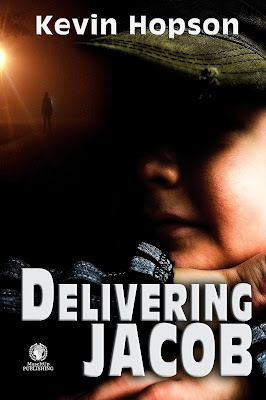 Please welcome my fellow MuseItUp author, Kevin Hopson, who wrote his new novelette, Delivering Jacob, on a painfully personal topic. I invited Kevin to talk about the transfer of real life into fiction. If you’re a fiction writer, you know that writing often portrays some aspects of our real life. Whether these depictions are in the form of names, character traits, settings, themes or whatever, they all come from a universal comfort in finding something we can relate to. As a result, we can’t help but include reality in fiction. However, what happens when an event, especially a devastating one, has impacted your life so much that it inspires you to write a story about it? My cross-genre novelette, Delivering Jacob, is a perfect example of this. It deals with the loss of a child, which is something I experienced back in August 2010 when my son, Aydin, was stillborn at 36 weeks. Numb and in shock, I couldn’t imagine ever writing again, yet it crept back into my life only a few months later as I attempted to grieve and cope with the loss. My writing wasn’t the same, though. It turned more laborious, and the quality I had come to expect with my work was lacking. While writing provided a means of release for me, I had to come to terms with the loss before taking it seriously again. It took nearly eighteen months for this to occur. After the birth of my second son, Skyler, I was motivated to pick up where I left off. That was three-and-a-half years ago, and I have published nearly a dozen stories/books since then. Even though I integrated some aspect of my loss into several of those works, none of them dealt directly with the death of a child, which is why I felt the need to write Delivering Jacob. The idea hit me out of the blue, and everything fell into place almost immediately. In fact, the topic felt so natural to me that I managed to write the story in a few days. In addition to the theme, there are many ways I paid tribute to my experience. For example, the main character’s son, Ken, was named after my father who passed away in December 2011. I include other names of family members and even set the story in the Pacific Northwest, which is my favorite part of the country. I’ve been told that Delivering Jacob is my best work to date. I’m not sure if I agree, but it’s definitely the most personal piece I’ve written, so maybe it hits the reader in a way that my other stories don’t. Regardless, it’s a diverse story that has a little bit of something for everyone … mystery, romance, crime, thrills, and even a hint of the supernatural. The subject matter is important to me, as well as the characters, which is why I have already written follow-up stories revolving around the life of Jacob. Learn more about Kevin Hopson on his blog. Purchase Delivering Jacob as well as Kevin Hopson's other books on Amazon. I'm honored to join in celebrating ten years of existence for The Future Fire, an e-zine focusing on near-future feminist and queer science fiction with a political edge. Djibril al-Ayad is its editor and co-founder, and she joins me today to talk about her passion for this project. TFF is currently running an Indigogo campaign to help pay for an anniversary anthology. When three friends (in Switzerland, California and Scotland) and I launched The Future Fire in 2005, we may have had different ideas about what it represented (nihilistic postmodern American literature; classic cyberpunk and golden scifi; new wave political angst; samizdat and Borgesian horror) but we all agreed that we wanted an independent zine that was separate from conventional publishing, that neither made nor spent money, didn’t take advertising or sell copies. In fact we were very naïve, both in a relatively benign sense of not knowing the market and its limits, and also in the deplorable sense of thinking we were doing something new when in fact a hundred people were trying to do the same thing. But we had fun along the way, learned some hard lessons and some healthy ones, and although I’m the only one of the original four still standing, a lot of our original ideas are still strong (and nine fabulous co-editors are contributing new vision and inspiration). After a few years of maturing and evolving, TFF arrived at a fairly stable and discrete mission, which is to publish overtly social-political speculative fiction. We’re not interested in stories that hit the reader over the head with a partisan message, but we are keen to see fiction that recognises the human and societal changes that take place in a science fictional future (or mythical past) are more interesting and challenging than technology, magic or monsters. And we are interested in hearing stories from, about and for diverse and underrepresented viewpoints: feminist, queer, postcolonial and disability themed speculative fiction alongside eco-sf, cyberpunk and low-fantasy. We’re feeling pretty pleased with TFF at the moment: we published three well-received print anthologies in the last three years (Outlaw Bodies, We See a Different Frontier and most recently Accessing the Future). All received positive reviews, and have individually been assigned to students in several college courses. Over a dozen of our recent stories have been shortlisted for awards or reprinted in “best of” anthologies, and we have authors submitting work who make me swoon! And all this without paying anything like a professional rate for fiction. We must be doing something people want to read. So while we don’t feel we need to change the model too much, there are a few things we’d like to do better: chief among them is we’d like to be able to pay our authors a better rate—and perhaps even more importantly, the wonderful artists who illustrate the stories we publish. We have a call open now for our latest anthology, Fae Visions of the Mediterranean, collecting stories and poems of horror, monsters and piracy from North Africa, the Near East and Southern Europe. We’re also putting together an anthology celebrating a decade of publishing, collecting a few representative stories from the last ten years plus a bunch of new material into a print volume. To pay a fair rate for all of these will cost money, so we’re also running a fundraiser at igg.me/at/tffx, where anyone who likes what we’re trying to do can preorder a copy of the TFF-X anthology or our other books, or pick up one of our perks such as story critique, custom illustration or knitted undead doll in your likeness! The fundraiser runs until the end of August. If you have any ideas for supporting the campaign, spreading the word, or just thoughts or good wishes for the future of TFF, please do get in touch. We’d love to hear from you! 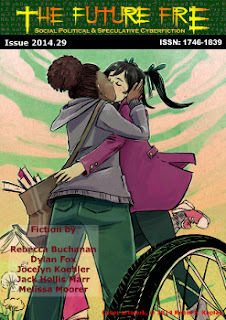 The Future Fire's 10th anniversary anthology fundraiser runs through the end of August, 2015. It's picture book time again on Jester Harley's Manuscript Page. Please welcome. Allyn M. Stotz and her incredible sinking hippo. could fit their entire body in a hippo’s gargantuan mouth! 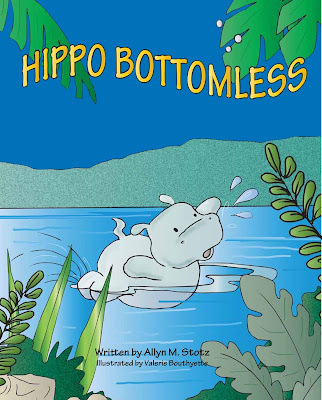 When I sat down to write Hippo Bottomless, I knew I wanted to write about a hippo but that’s about all I was sure of. So just like I’ve done so many times in the past, I started picking my pea-sized brain for titles of the book first. I thought Hippo Bottomless was a funny name and would grab people’s attention and possibly give them a chuckle. I discovered after writing The Pea in Peanut Butter that the title of a book can make a huge difference in whether or not someone is interested in taking a peek. Once I was sold on the title, I began writing down different scenarios for what might happen in the book. Would the hippo have a huge appetite and eat everything in sight, therefore everyone teased him about being a bottomless pit? Or would the hippo have some kind of problem with keeping his shorts up? I tried both of these possibilities but neither was working. Then a writer friend of mine told me that her daughter is obsessed with hippos. So I thought it would be fun to challenge her daughter by giving her my title and letting her come up with an idea for the story. I promised if her idea worked and I got my book published, I’d thank her in the book. And luckily, her idea worked! The minute I started writing about a hippo who couldn’t swim, the words just flowed on the computer screen and Hippo Bottomless was born. And my book became that much more special… at least to me. When writing for kids, the more you can get them involved, the better the story. Although my little helper didn’t help me write the story, she came up with the idea and without that, Hippo Bottomless might still be sitting in my “To be finished” book folder. Writing a children’s book might seem easy to those who have never written one and gotten it published but trust me when I say, it’s difficult and there’s a lot involved. Including research. Yes, even though I was writing fiction about a hippo, it still had to be believable and accurate. It was during my research that I realized hippos can’t really swim. They just basically run on the bottom while keeping their heads above water. That’s why you don’t see a herd of hippos out in deep water. So with that knowledge, I decided to incorporate the message to never give up because most times things aren’t always as they appear. Poor Echo the Hippo kept trying to swim, but even with some training from friends along the way, he could still only manage to splash, splash, splash as he sank, sank, sank to the cold, murky bottom. You’ll have to read the book to see if Echo ever achieves the ability to swim along with his other Hippo friends. 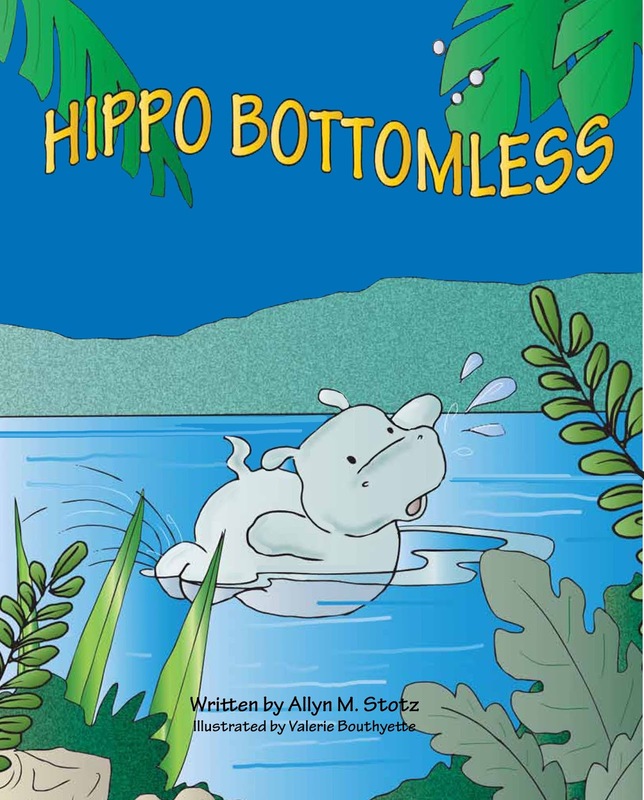 You can purchase an autographed copy of Hippo Bottomless by contacting Allyn M. Stotz at allyn_stotz@yahoo.com or through her blog. You can also purchase Hippo Bottomless on Amazon. One of my favorite new markets for speculative fiction is the Dreaming Robot Press series Young Explorer's Adventure Guide. 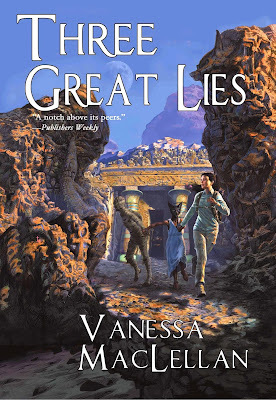 I was honored to share the 2015 table of contents with Vanessa MacLellan, and I'm further honored to have Vanessa as a guest today to discuss her new novel, Three Great Lies. When I was little I had three great fascinations: Dinosaurs, terraforming other planets, and Egyptian mythology. Sit for a moment and remember the focus you had as kids, when all you wanted to do was play ball, or teach your dog to fetch, or read about space aliens? Well, for me, those three were tops. I had plastic dinosaurs I'd play with in the mud; they built towns and had a government. Read sci-fi where human colonists turned desert landscapes into rolling fields. And I had this great picture book with pyramids and pharaohs and mummies in it, along with a description of what each god meant. I've been fascinated ever since. So, back in 2008 when I was preparing for my fifth NaNoWriMo challenge, I began to ponder... how well would I survive in an ancient world, like, say ancient Egypt? Thus the seed was planted and much research was tackled. A major aspect of the book (the stray dog theme) sprang to life at an agility dog show. The midsummer day was baking hot and I had parked myself under a tree for the next show. A Jack Russell Terrier was looking at me with that intelligent tongue-lolling smile terriers have. Honestly, the dog was smiling. And that was the original start of the novel: "The dog was smiling at her." It's since changed, but that line and scene are still in there, the theme planted throughout the novel. The story just unfolded from that one dog's smile. I thank the heavens for smiling dogs! After that, sitting in the hot sun, I began writing long hand. Then moved the novel to my computer and it flowed from there. I wrote 50,000 words of a woman fumbling her way through ancient Egypt, being chased by mummies, crocodiles and slave masters. Of her using her vast knowledge from spy movies to infiltrate a spy ring and help a young woman find her purpose and a mummy find his soul. It was a good ride. It is still a good ride. One that's just starting. 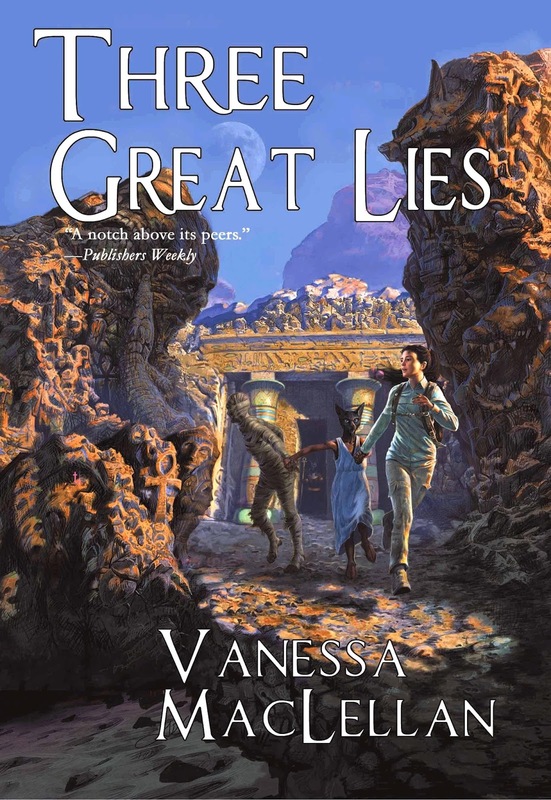 Follow Vanessa MacLellan on her website, Facebook, and Google+. You can purchase Three Great Lies on Amazon.